My roommates have joked about leaving this book out on our coffee table, to see what sort of response it would get. This blog post might be the next best thing. I’ve had many friends read this book for the stated purpose who then lament that they’d not been introduced to it sooner. 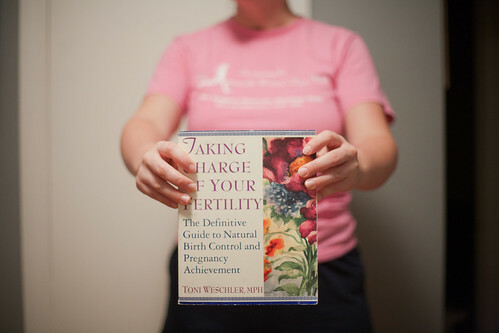 Yes, a significant portion of the book is about fertility and pregnancy and natural birth control, but it is also a great resource that speaks about a woman’s body and cycles as a beautiful, natural thing, which is sadly not the norm for women’s health education. This is basically a textbook, so it wasn’t exactly the most entertaining read, but I’m the type of person who reads textbooks and manuals from cover-to-cover. I’ll definitely keep this around as a reference book, and I might even start charting in a continued attempt to de-mystify this body and the hormones that come with it. I have heard lots of good things about this book, although I don’t think I’ll attempt NFP until we’re ready to actually have a baby! Still. I should read it. This is awesome. Obviously, I’m interested in medically related things AND I’m a woman… I might have to borrow it sometime!